The LA Clippers Foundation announced a $10 million donation to the L.A. Parks Foundation which will help to renovate 350 basketball courts in the city by 2021. The announcement was made by LA Clippers chairman Steve Ballmer and his wife Connie at the Jim Gilliam Recreation Center. They were joined by Mayor of Los Angeles Eric Garcetti, a key figure in the city’s successful bid for the 2028 Olympic and Paralympic Games. It is claimed the donation from the National Basketball Association team will build on the city’s momentum towards creating even more access to sports for children. The improvements are expected to benefit in all geographic areas and economically diverse regions of Los Angeles in the build-up to Los Angeles 2028. 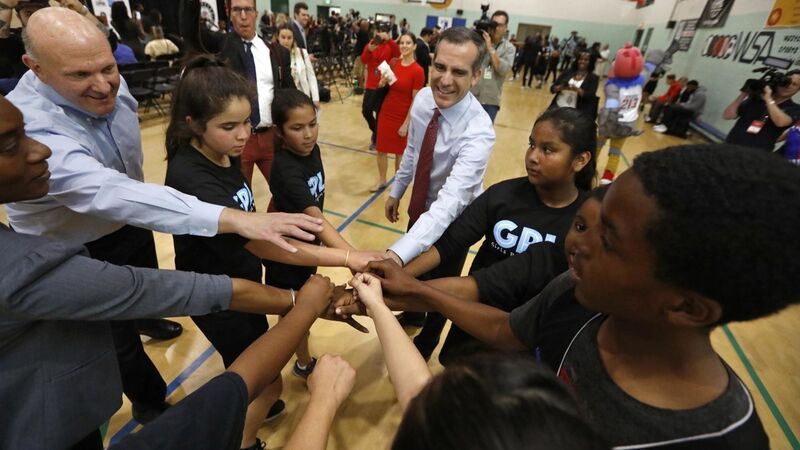 “Sports have always been an incredible vehicle for social change, and this gift is an extraordinary investment in our children and communities,” Garcetti said. “The Ballmers and the Clippers organisation reflect the best of Los Angeles. The Department of Recreation and Parks conducted a detailed assessment of basketball courts at the start of Garcetti’s tenure as Mayor. It is claimed that floors of 108 indoor courts and 236 outdoor courts were in need of restoration in order to be fit for use. The donation is expected to be enough to renovate every single court that is in need of repair in Los Angeles. “Mayor Garcetti asked if the Clippers would play a role and help give opportunity to kids, and we were happy to step up. The United States Olympic Committee will receive 20 per cent and the rest to be used for “the general benefit of sport and youth” in Los Angeles and the nation at large.